One day, I was surprised when my computer did not give any response when I pressed the start button. Only a few days back, I had been using it, and it did not show any problem at all. As always, I like to do my own troubleshooting before I consider the computer beyond repair and ready for the scrapyard. I must admit the computer was rather old, but it was ideal for running LinuxCNC for my CNC machine as it had a parallel port. 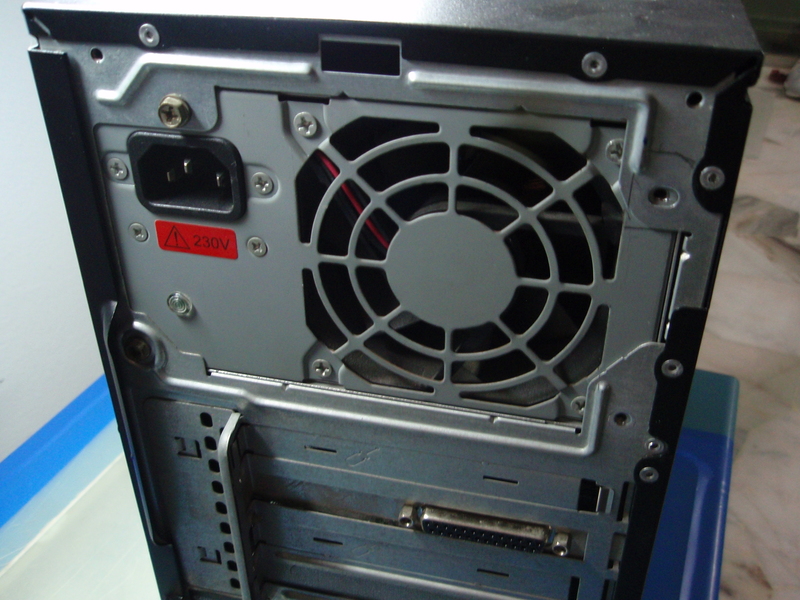 I wanted to maintain it in working condition as much as possible. 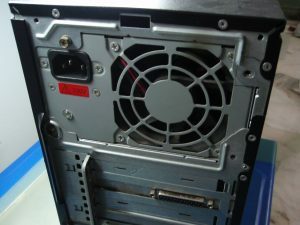 My troubleshooting finally led me to focus on the Power Supply Unit or PSU. Normally, by just substituting this with a new power supply unit, I would have solved the problem, but I wanted to find out exactly what was the problem. 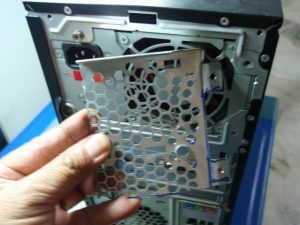 Sometimes, I could go right down to the component level, replace the faulty component, and the psu would be as good as new. So I opened up the PSU for examination. What I found was rather surprising and was unexpected. There was a dead lizard inside, and I could find parts of it sticking to the fan blade of the exhaust fan. That was what caused the PSU to fail. Perhaps some of the body parts had caused a short in the circuits. 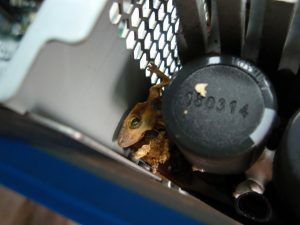 I knew there were high voltages inside the switch-mode power supply unit and the lizard could easily be conducting electricity through its body and thus shorting some components. After I have removed the dead lizard and cleaned up the mess, the PSU came back to life, although the fan rotor with blades seemed to be running noisier. I dismantled the fan blade from the shaft to clean up the air gap. The motor was a Brushless Direct Current, BLDC Motor and was supposed to be very quiet. In the area where I live, these lizards or geckos are quite common. Furthermore, I had the intention to place the computer and the cnc machine outdoors when I shift house. I had to think about preventing such occurrences from happening again in the future. 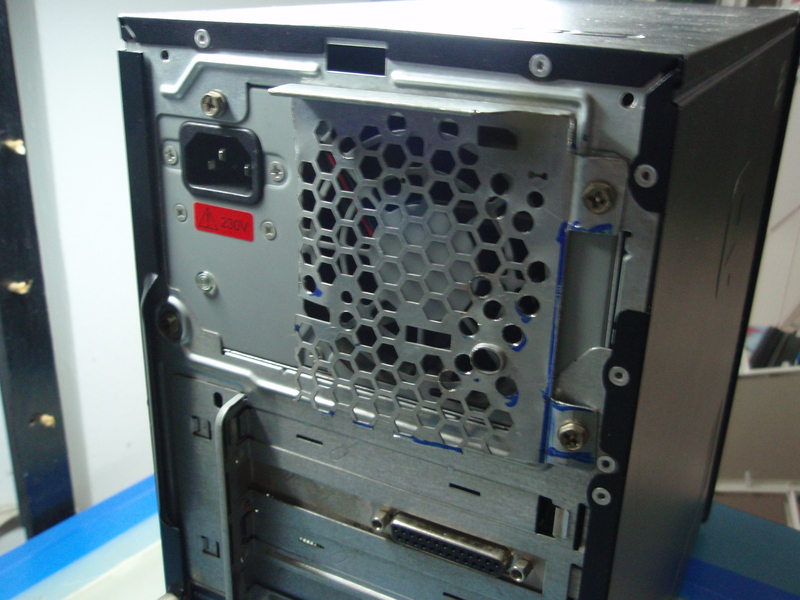 The openings of the exhaust fan of the PSU were large enough for any lizard to crawl through. I felt that they could be attracted to crawl inside at any time. They had a knack of quickly squeezing through any cracks especially when they wanted to escape from predators. To prevent this, I decided to add in another piece of mesh over the existing fan opening, so that creatures the size of lizards would not be able to pass through. 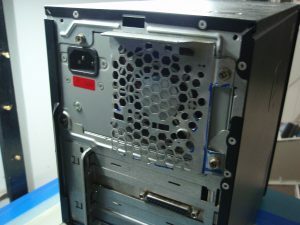 I am sure insects would still be able to find their way in, but this had to be a compromise between becoming a barrier for unwanted intruders and to allow sufficient air to flow through the PSU for cooling purpose. I will monitor to see whether this countermeasure is effective for the time being.